The SteamPlant Event Center will host it’s annual exhibition alongside the annual Salida Fiber Festival. The Fiber Art Exhibition is open to fiber artists within 50 miles of Salida and vendors at the 2017 festival. 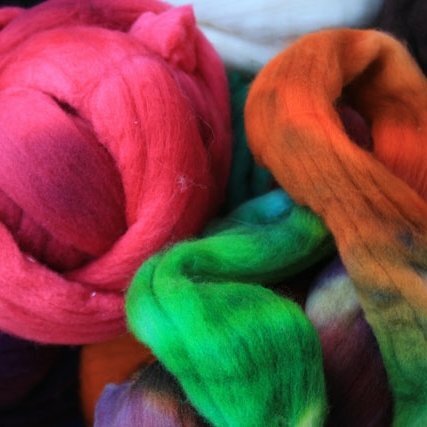 The following forms of fiber art are represented in this year’s Fiber Art Exhibition: weaving, spinning, beading, knitting, papermaking, wet felting, nuno felting, needle felting, quilting, sewing, resist dyeing, shibori dyeing, and natural dyeing. Opening Reception for the Fiber Festival will be in the Paquette Gallery, accompanied by a special showing of the documentary Yarn. Meet the artists who are redefining the tradition of knit and crochet, bringing yarn out of the house and into the world. Reinventing our relationship with this colorful tradition, YARN weaves together wool graffiti artists, circus performers, and structural designers into a visually-striking look at the women who are making a creative stance while building one of modern art’s hottest trends. Join the Salida Council for the Arts and the Salida Creative District on Thursday, September 14th in the Paquette Gallery for a fine and festive social hour from 5:30 to 7 pm. Munchies are served, the cash bar is open, live music will be playing, The Fiber Arts Guild will speak about their respective work, and you’ll hear news about the many creative projects being launched.